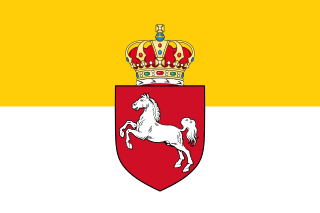 The House of Hanover (German : Haus Hannover), whose members are known as Hanoverians ( /ˌhænəˈvɪəriənz, -noʊ-, -ˈvɛər-/ ), is a German royal house that ruled Hanover, Great Britain, and Ireland at various times during the 17th through 20th centuries. The house originated in 1635 as a cadet branch of the House of Brunswick-Lüneburg, growing in prestige until Hanover became an Electorate in 1692. 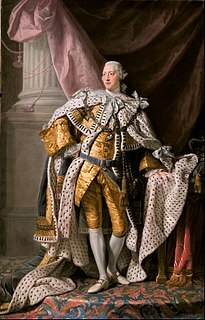 George I became the first Hanoverian monarch of Great Britain and Ireland in 1714. At Victoria's death in 1901, the throne of the United Kingdom passed to her eldest son Edward VII, a member of the House of Saxe-Coburg and Gotha. The last reigning members of the House lost the Duchy of Brunswick in 1918 when Germany became a republic. The formal name of the house was the House of Brunswick-Lüneburg, Hanover line. The senior line of Brunswick-Lüneburg, which ruled Brunswick-Wolfenbüttel, became extinct in 1884. The House of Hanover is now the only surviving branch of the House of Welf, which is the senior branch of the House of Este. 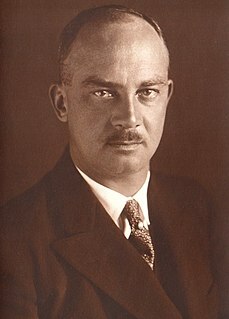 The current head of the House of Hanover is Ernst August, Prince of Hanover. The House of Este is a European princely dynasty. Christian Louis was Duke of Brunswick-Lüneburg. A member of the House of Welf, from 1641 until 1648 he ruled the Principality of Calenberg, a subdivision of the duchy, and, from 1648 until his death, the Principality of Lüneburg. 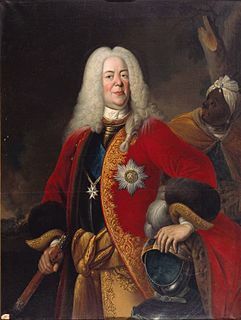 George I, George II, and George III also served as electors and dukes of Brunswick-Lüneburg, informally, Electors of Hanover (cf. personal union ). From 1814, when Hanover became a kingdom, the British monarch was also King of Hanover. At the end of the Thirty Years' War, the Peace of Westphalia (1648) awarded the Prince-Bishopric of Osnabrück alternately to a Catholic bishop and to a cadet branch of Brunswick-Lüneburg. 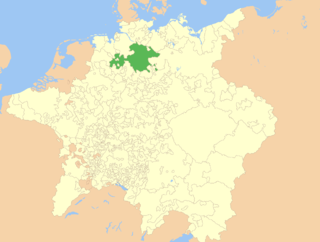 Since the treaty gave cadets priority over heirs and reigning princes, Osnabrück became a form of appanage (in alternation) of the House of Hanover. After having left Brunswick Palace, the duke and his family moved back to their exile seat Cumberland Castle at Gmunden, Austria, but in 1924 he received Blankenburg Castle and some other estates in a settlement with the Free State of Brunswick, and moved there in 1930. A few days before Blankenburg was handed over to the Red Army by British and US forces in late 1945, to become part of East Germany, the family was able to quickly move to Marienburg Castle (Hanover) with all their furniture, transported by British army trucks, on the order of King George VI. 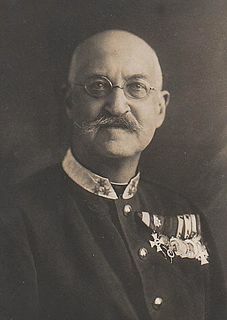 Duke Ernest Augustus died at Marienburg Castle in 1953. His Herrenhausen Palace in Hanover had been completely destroyed during World War II. His eldest son, Prince Ernest Augustus, sold his remaining property at Herrenhausen Gardens in 1961, but kept the nearby Princely House, a small palace built in 1720 by George I for his daughter Anna Louise. It is now his grandson Ernest Augustus's private home, along with Marienburg Castle. On 29 August 1931, Ernest Augustus, Duke of Brunswick, as head of the House of Hanover, declared the formal resumption, for himself and his dynastic descendants, of use of his former British princely title as a secondary title of pretense, which style, "Royal Prince of Great Britain and Ireland", his grandson, the current head of the house, also called Ernest Augustus, continues to claim. He has the right to petition under the Titles Deprivation Act 1917 for the restoration of his ancestors' suspended British peerages Duke of Cumberland and Teviotdale and Earl of Armagh, but he has not done so. 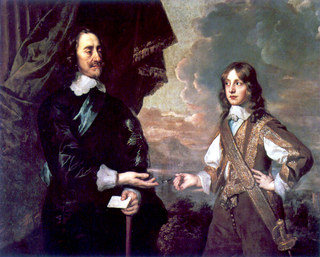 His father, another Ernest Augustus, did, however, successfully claim British nationality after World War II by virtue of a hitherto overlooked (and since repealed) provision of the Sophia Naturalization Act 1705. According to the decision taken by a court of the House of Lords, all family members bear the last name Guelph in the UK and are styled Royal Highnesses in their documents. Wikimedia Commons has media related to House of Hannover . ↑ Viktoria Luise (Herzogin zu Braunschweig und Lüneburg) (1977). The Kaiser's Daughter: Memoirs of H. R. H. Viktoria Luise, Duchess of Brunswick and Lüneburg, Princess of Prussia. Prenticse-Hall. ISBN 978-0-13-514653-8. ↑ Privately however the British Royal Family (of the House of Saxe-Coburg and Gotha, alias House of Windsor) continued to call their German branch the Cumberlands, for instance when Edward VIII described his visit to the family in Gmunden in a letter to his mother in 1937. ↑ In 1919 royalty and nobility lost their privileges as such in Germany, hereditary titles thereafter being legally retained only as part of the surname, according to Article 109 the Weimar Constitution. ↑ "In der Prinzenrolle". HAZ – Hannoversche Allgemeine. Hanover is a territory that was at various times a principality within the Holy Roman Empire, an Electorate within the same, an independent Kingdom, and a subordinate Province within the Kingdom of Prussia. The territory was named after its capital, the city of Hanover, which was the principal town of the region from 1636. In contemporary usage, the name is only used for the city; most of the historical territory of Hanover forms the greater part of the German Land of Lower Saxony but excludes certain areas. Duke of Cumberland and Teviotdale was a title in the Peerage of Great Britain that was held by junior members of the British Royal Family, named after the county of Cumberland, England and after Teviotdale, Scotland. Held by the Hanoverian royals, it was suspended under the Titles Deprivation Act 1917, which revoked titles belonging to enemies of the United Kingdom during the Great War. The Kingdom of Hanover was established in October 1814 by the Congress of Vienna, with the restoration of George III to his Hanoverian territories after the Napoleonic era. It succeeded the former Electorate of Brunswick-Lüneburg, and joined 38 other sovereign states in the German Confederation in June 1815. The kingdom was ruled by the House of Hanover, a cadet branch of the House of Welf, in personal union with the United Kingdom of Great Britain and Ireland until 1837. Since its monarch resided in London, a viceroy handled the administration of the Kingdom of Hanover. 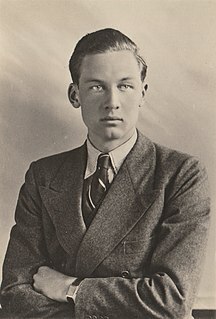 Ernst August, Hereditary Prince of Brunswick, Prince of Hanover was head of the House of Hanover from 1953 until his death.